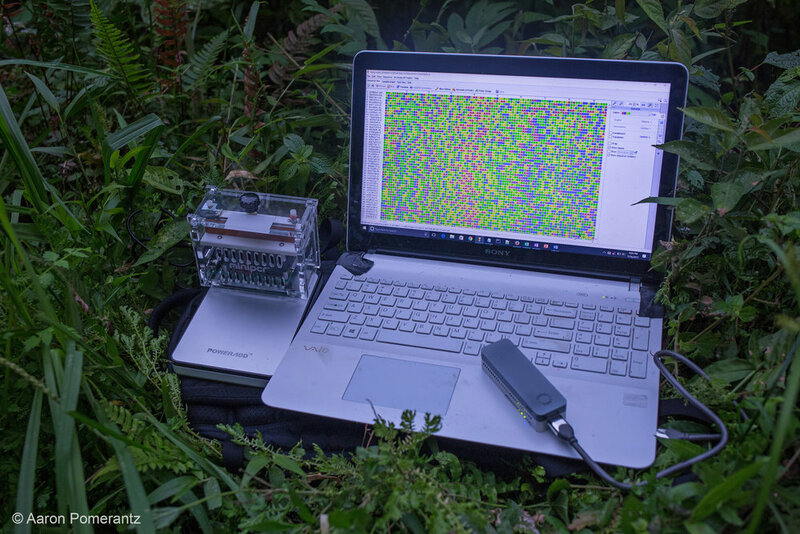 Recent advancements in portable scientific tools (such as handheld DNA sequencers) enable promising opportunities for fieldwork and STEM-based teaching programs. Myself and collaborators have recently started to teach field-based genomics courses, including ‘Jungle Genomics’ in Peru, and our next upcoming course will be at UC Berkeley in summer 2019. In this short course, we will take students into the field and the lab to receive hands-on training in cutting-edge molecular biology techniques, including sample collection, nucleotide isolation and amplification, real-time DNA sequencing, and bioinformatics. Students will work closely with graduate student mentors in the Integrative Biology Department at UC Berkeley and get exposure to different research labs and natural history museums on campus. The overall goal is for students to acquire skillsets that research scientists employ to answer a range of biological questions, such as species delimitation, evolutionary processes, pathogen diagnostics, and metagenomics.